East Boston, MA According to Citizens Bank, its community development group has provided $26 million in construction financing to Trinity Orient Heights Phase Two LP for the demolition of four existing buildings and replacement of 88 state public housing units, through the new construction of two townhomes and one mid-rise building. 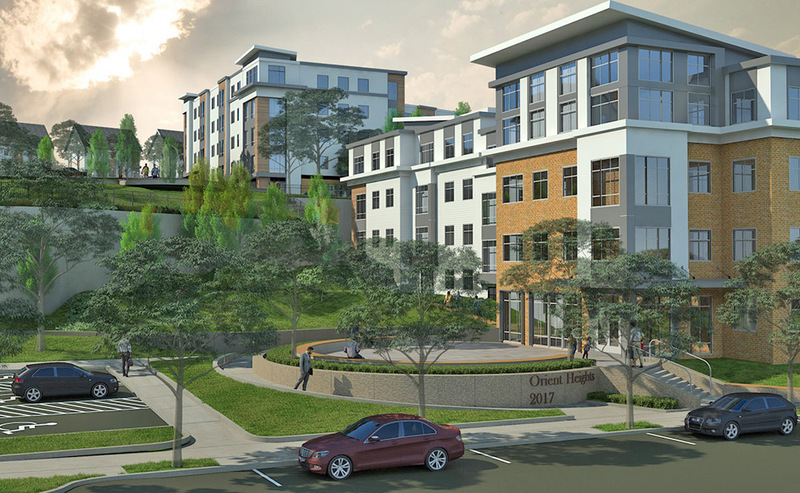 This effort, led by the Boston Housing Authority, East Boston CDC and Trinity Financial, is the second phase of a master plan to redevelop the 331 units of affordable housing located at the existing Orient Heights development. Nine of the units in phase two will be leased to tenants at or below 30% Area Median Income (AMI) and the remaining 79 units will be reserved for tenants at or below 60% AMI. All of the units will receive either state or federal housing subsidies. “This project meets a crucial need in the community and we’re excited to work with Trinity Financial and the East Boston CDC to support more affordable housing for Boston residents,” said Jerry Sargent, president, Citizens Bank, Mass.